A total of more than 240 human space flights have been completed to date, involving about 450 astronauts from various countries, for a combined total presence in space of more than 70 years. The seventh long-duration expedition crew is currently in residence aboard the International Space Station, continuing a permanent presence in space that began in October 2000. During that time, investigations have been conducted on both humans and animal models to study the bone demineralization and muscle deconditioning, space motion sickness, the causes and possible treatment of postflight orthostatic intolerance, the changes in immune function, crew and crew-ground interactions, and the medical issues of living in a space environment, such as the effects of radiation or the risk of developing kidney stones. Some results of these investigations have led to fundamental discoveries about the adaptation of the human body to the space environment. Gilles Clément has been active in this research. This readable text presents the findings from the life science experiments conducted during and after space missions. 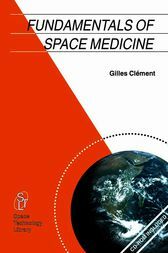 Topics discussed in this book include: adaptation of sensory-motor, cardio-vascular, bone, and muscle systems to the microgravity of spaceflight; psychological and sociological issues of living in a confined, isolated, and stressful environment; operational space medicine, such as crew selection, training and in-flight health monitoring, countermeasures and support; results of space biology experiments on individual cells, plants, and animal models; and the impact of long-duration missions such as the human mission to Mars. The author also provides a detailed description of how to fly a space experiment, based on his own experience with research projects conducted onboard Salyut-7, Mir, Spacelab, and the Space Shuttle. Now is the time to look at the future of human spaceflight and what comes next. The future human exploration of Mars captures the imagination of both the public and the scientific community. Many physiological, psychological, operational, and scientific issues need to be solved before the first crew can explore the enigmatic Red Planet. This book also identifies the showstoppers that can be foreseen and what we need to learn to fully understand the implications and risks of such a mission.